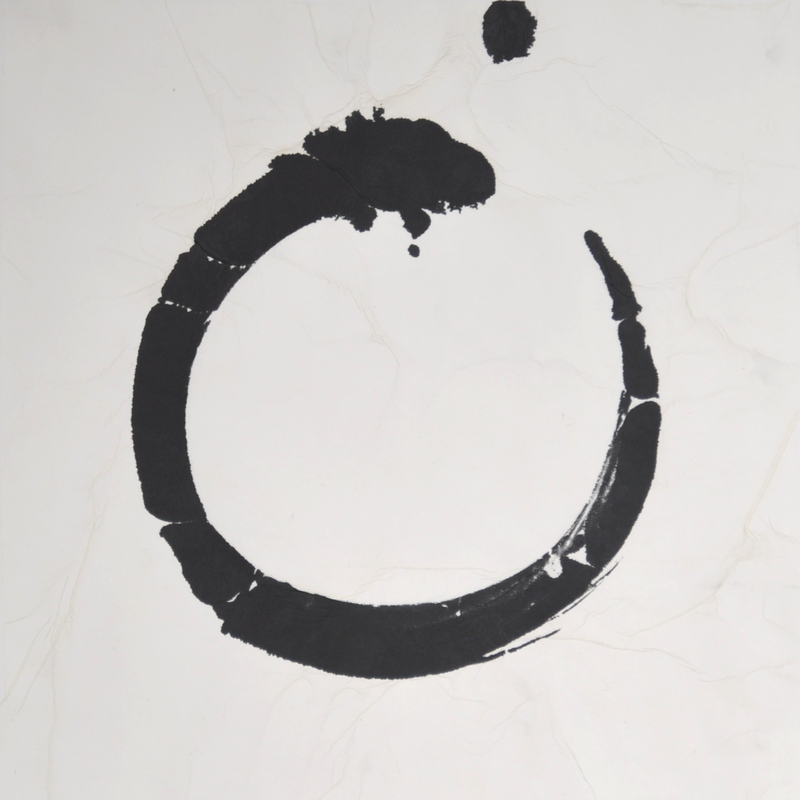 The ‘enso’, zen circle motif recurred in my sketchbooks for years. The pursuit of a perfect circle in a single brush stroke is a meditative practice within my studio. I first make the mark with a dry brush. I perform the gesture repeatedly to create muscle memory for this specific body movement. After rehearsing with a wet brush on newspaper, I commit to using ink on cartridge only once I am happy to both make the mark in the pursuit of ‘perfection’ whilst accepting it as it appears. Blots, drips and idiosyncrasies. The final mark on rice paper or gesso is a unique moment of action. A record of a pause in judgement. A solitary open form and a complete whole at the same time.